It's been half a year since my last Walmart Beauty Box unboxing. A long time, I know! I didn't cancel the box or anything, what happened was that my spring box never arrived. I never got an email indicating that my box had been shipped out or got money taken away- nothing. I have no idea what happened there but for some reason I just never got a spring box. Unless this is the spring box and it came a whole season late... Who knows, the orchid box is really throwing me off. And this box was perhaps the worst subscription box I've ever received. 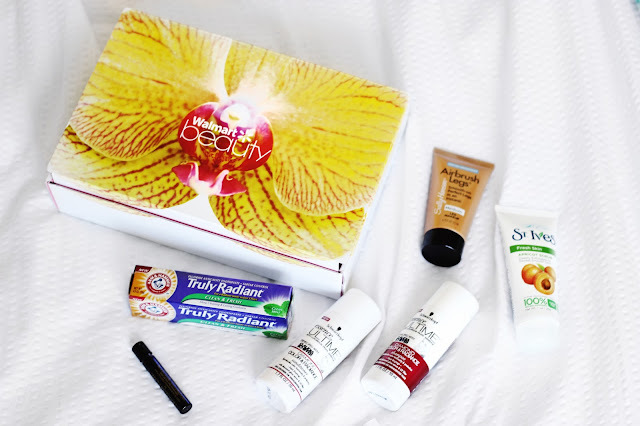 Here's my Walmart Beauty Box unboxing. Get ready to see the look of disappointment on my face.